Demand for Australian bullion slowed in December from November but was mixed in 2018 compared to 2017, according to figures from The Perth Mint of Australia. Sales of Mint’s gold coins and gold bars at 29,186 ounces declined 54.6% from November — when they reached their highest point since January 2017, but they advanced 8.1% from December 2017. Annual 2018 gold sales at 402,049 ounces increased 10% from the 365,410 ounces sold in 2017. November was the Perth Mint’s biggest month in 2018 for gold bullion with 64,308 ounces sold. The monthly tally was the fourth largest since CoinNews started tracking the Mint’s data in February 2013. 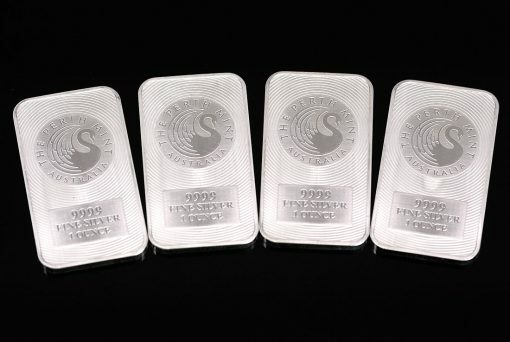 The Mint sold 692,971 ounces in silver coins and silver bars last month — the weakest monthly total since August, posting declines of 20.9% from November and 20.8% from December 2017. In June, the Perth Mint logged sales of just 229,280 ounces for the lowest monthly haul since CoinNews started tracking the Mint’s bullion sales. Conversely, sales in September were the highest since March 2016. 2018 silver sales at 9,243,058 ounces slowed 4.1% from the 9,636,408 ounces moved in 2017. The annual level was the lowest for the Mint since 2014 when sales registered at 7,567,467 ounces. Below is a monthly summary of Perth Mint bullion sales from December 2017 to December 2018. The figures show monthly ounces of gold and silver shipped as minted products by The Perth Mint to wholesale and retail customers worldwide. It excludes sales of cast bars and other Group activities including sales of allocated/unallocated precious metal for storage by the Depository.